Nice and fast check-in/check-out. The staff was helpful enough if we had a question. Also the bus stop to get to the airport was really close. The location is great. 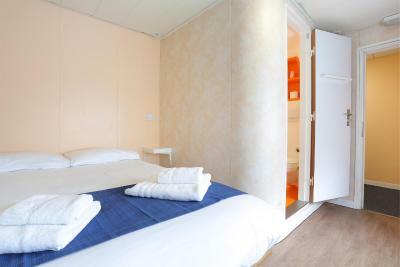 The hotel is near to bus station and is very clean!!! I loved the location of your hotel because you have everything right beside you and very Suitable for the Airport.Your Staff are Wonderful and Always Willing to Help. Very basic, but that's what I expected for that price. Beds were extra comfortable. The room was clean and staff was helpful. The hotel is near the train station and shopping center. Good value for money. lights weren't working in bedroom so had to fumble around looking for things in the dark. Told manager but he wasn't interested! Impossible to have a shower, the temperature dial was faulty and it was either stone cold or boiling!!! very disappointing! 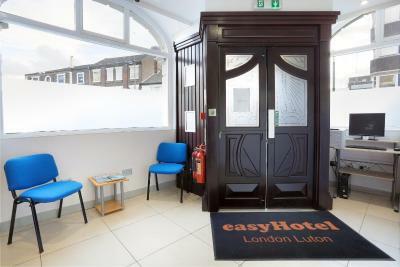 easyHotel London Luton is a 10-minute drive from London Luton airport and a 3-minute walk from Luton Rail Station. Central London can be reached within a 40-minute train journey. Free WiFi is available and public parking is located a 1-minute walk from the property, subject to availability. 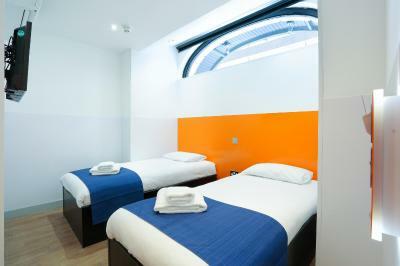 Rooms at easyHotel London Luton offer a Hypnos bed, flat screen TV, air conditioning, an iron, heaters and fans. Hairdryers are available on request. 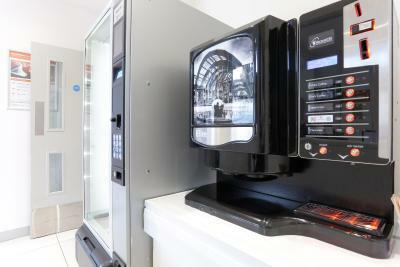 An on-site vending machine is also available on site and includes light snacks and hot beverages. 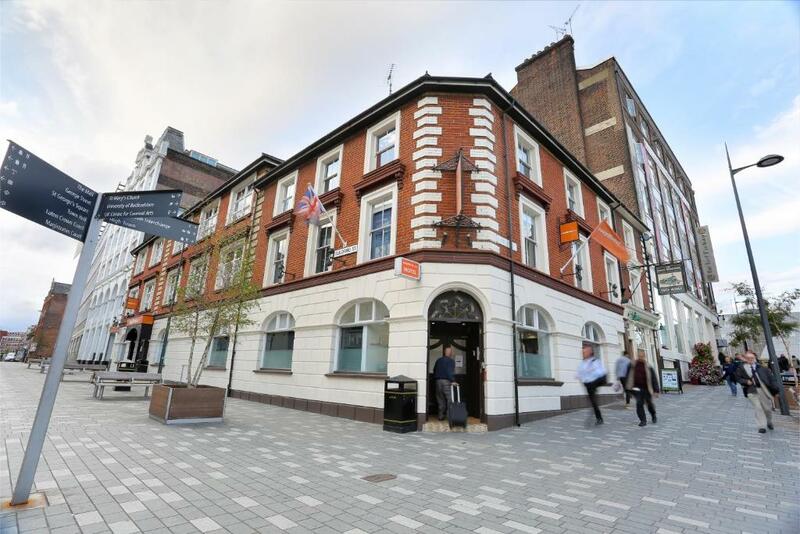 There is a cinema, a variety of shops, as well as restaurants in the center of Luton, as well as in the shopping mall which can be reached in a few minutes’ walk. 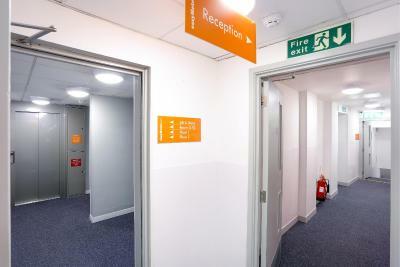 The University of Bedfordshire is 8 minutes' walk from the hotel. When would you like to stay at easyHotel London Luton? 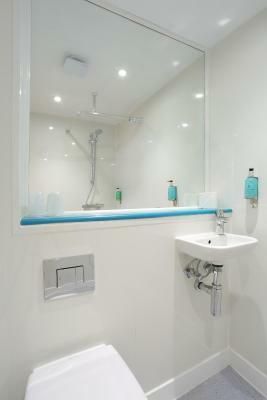 This room features heating, air conditioning, an private bathroom and shower. 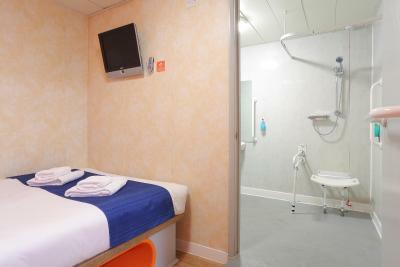 Please note that a wheelchair accessible room is available on request. 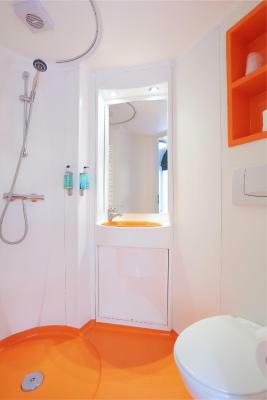 This room features 2 single beds, heating, air conditioning, an private bathroom and shower. 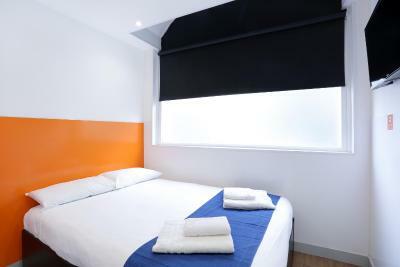 House Rules easyHotel London Luton takes special requests – add in the next step! 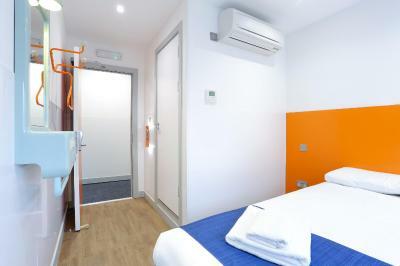 easyHotel London Luton accepts these cards and reserves the right to temporarily hold an amount prior to arrival. 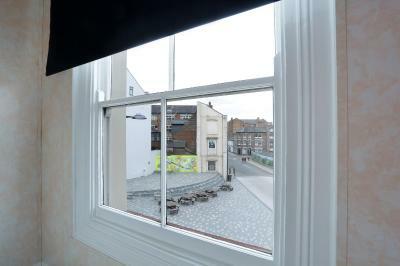 For the public car park, located at the back of the hotel, guests can use the post code LU1 2EY. Guests are requested to carry their photographic identifications when checking in. 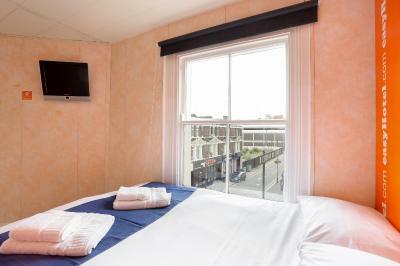 Guests must be at least 18 years of age to book a room in the hotel. Please note that for third party bookings - where the name of the guest is different from the name of the credit / debit card- the property requires a copy of the credit / debit card holder's ID and a copy of the credit / debit card. This is done for security reasons and to prevent credit / debit card misuse. 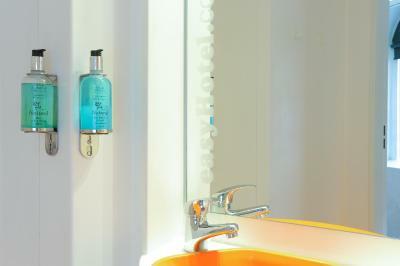 Check-in before 15:00 is possible for GBP 15, subject to availability and by prior arrangement. 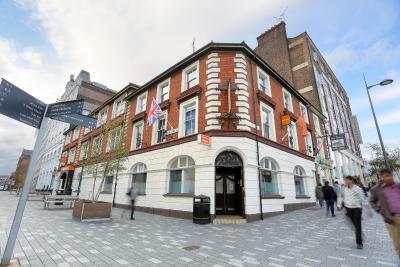 Please note that this hotel can accommodate late check-out until 13:00 for an additional cost of GBP 15, subject to availability and by prior arrangement. Please note that free off-site parking is available from 18:00 - 08:00. Charges are applicable outside of these hours. Please note that the maximum stay is 5 hours. There wasn't a window, however I knew that at the time of making the booking. 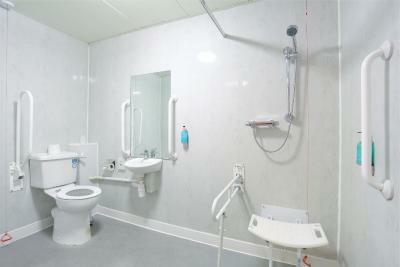 Excellent location for access to rail and coach station. Hotel clean and comfortable. The room had a few issues. Only 1 socket on the wall next to a tv for charging your electronics. The tv didn't work. The bathroom curtains had a wierd brown stain on it. Shower head was also leaking. Cheap and basic, but fine for a night or two for a single person. Friendly locals in the pub next door, The Great Northern 😎, go in for a pint and a chat 😁. Water pressure was very low. Had issues removing shampoo from my hair! Room had no window which I was aware of however there was no ventilation at all in the room. Very stuffy and even worse after the shower. Friendly staff. Good location. Good value for money. If anything it was the heat in the room later in the evening, perhaps a fan that you could rent would be good as it's a personal thing, I know I do feel the heat a lot so for me it would have been perfect having the option of a fan. Other than that I was very happy. The tea/coffee machine gave coffee for the tea option, but no major problem. Maybe a kettle would be good in the room too, but just an observation rather than a complaint. Rooms were atrocious.. not even a hanger.. all possessions were on the floor. There was a very bad smell in the bathroom. Location is not very friendly for young ladies. They have to be very careful.